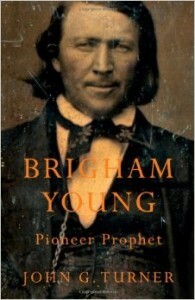 Next week, Harvard University Press is releasing the paperback edition of my Brigham Young: Pioneer Prophet. What was a tremendous value is now an outright bargain! One can start planning for General Conference gifts, Christmas presents, book groups (I’d love to join in, either in person or via Skype), and (for you university instructors out there) Spring 2015 reading lists. Books do not always have long lives. They are threatened by many things. New scholarship supersedes their findings. Readers find new subjects. Lucy Smith’s book offered an alternative history of the church, one focused on the Smith family and largely confined to the church’s roots in New York and Ohio and its persecutions in Missouri. Although the book preceded the Reorganization, it suited the RLDS understanding of the church’s past quite well. Other than a brief mention of his conversion, Young scarcely appears in Lucy Smith’s account. A reader of her history would not appreciate the significance of the Quorum of the Twelve Apostles, the temple ordinances, or plural marriage for the subsequent history of the church. In short, Lucy Smith’s book offered a subtle challenge to Young’s authority as head of the church. When Brigham Young didn’t like something, he didn’t hold back. In 1861, Young ordered George Q. Cannon to send “to the pulp tub of the paper makers” any remaining copies of the book. 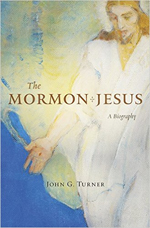 On a trip to northern Utah, he once called on church members to burn any copies of the book in their possession. Of course, despite Young’s opposition, Lucy Mack Smith’s history survived, graced with considerable attention in recent years. Given that one’s book could end up in “the pulp tub of the paper makers,” as an author one is grateful for such things as paperback editions.